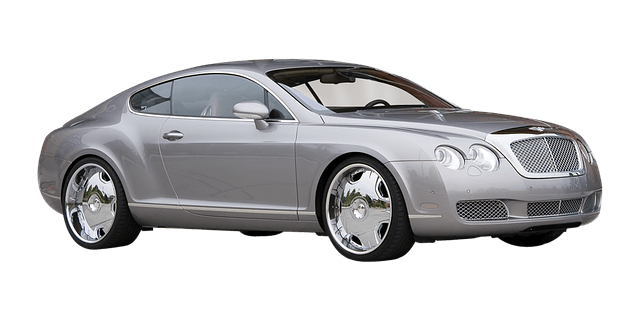 Bentley started its journey on becoming the world’s most luxurious automobile brand approximately 100 years ago. Since then, the automobile giant has produced masterpieces which have ruled the race tracks and the city roads and is a dream car of many young minds and even the adult ones. The automobile giant has launched the world’s most expensive SUV. The car that we are talking about is The Bentley Bentayga. With the handcrafted interiors and the powerful engine in the chest of the car, the price of the car has also shot up. The demand to increase the luxurious features and a better engine and at the same time, reducing the price, seems unreasonable. The car has an active suspension system, with the W12 6.0-liter engine rated at 600 horsepower. The 2018 Bentley Bentayga has a top speed of 187 mph and starts at an exorbitant price of $230,000. This is the most powerful version of the car with the highest base price. The lower model has the V8 engine with the base price of $170,00. The car has a chassis tuned for better handling and the number of features has also been added. Bentley Bentayga has been tested on various types of tracks. The car was tested on the snow-packed roads and the mountain peaks in countries like Germany and Austria. The car has been designed to illustrate the sure-footed dynamics. The automobile giant had the aim to develop a car with the maximum driver engagement. This aim was successfully met with the Bentley Bentayga. The car features a V8 engine which is rated at 542 horsepower. There are other variants of the car which produce up to 600 horsepower and use the W12 engine. The cars have been designed in such a way that there is a certain comfort to the way it handles even in the worst conditions and the most difficult terrains. There are two major variants of the car. The 2018 Bentley Bentayga is the most powerful SUV which uses the W12 engine with the 600 horsepower rating and the other variant is the 542 horsepower 4.0-liter V8 engine. There have been various modifications made in the car to suit the requirements and the power handling capacity of the lighter version of the car. All the features of the car including the all-wheel-drive drivetrain and the suspension have been tweaked for the 4.0L V8 engine variant of Bentayga. The prime requirement to make the lighter version as good as the higher version was shedding some extra pounds of the body. Approximately 100 pounds of weight was removed from the front end to maintain the front to the rear weight bias. The 48-volt suspension system of Bentayga has been recalibrated to take full advantage of the improved front-to-rear weight bias of the V8 version. The weight loss of the car coupled with the engine rated at 542 horsepower and 568 pound-feet torque, helps the car to reach the top speed of 180 mph in the time span of 4.4 seconds. There is only one difference between the W12 engine and the V8 engine. The top model using W12 can reach the top speed of 187 mph in 4 seconds whereas, the lighter version which uses the V8 engine, can reach the top speed of 180 mph. Lovish is Tech blogger. He contributes to the Blogging, Gadgets, Social Media and Tech News section on TrickyTechno.